Along with flowers, fruits, and vegetables, the garden also enables growth in the understanding of Math. The garden is a simple square with 4 equal sides. Each side measures 8 feet in length. The surface area of the garden is a function of the side. The function means x (the length of the side 8 ft) multiplied against itself is equal to y (surface area of the garden 64 sqft). The value of x is dependent on y and the value of y is dependent on x. If the size of the garden is increased to have a length of 10ft, the function remains the same, but the value of x and y change accordingly. Because of the ability to change, the x and y values are called variables. Algebra is a unifying thread in mathematics that allows the use of abstractions (letters to stand in the place of numbers). By considering different lengths for the side of the garden (2 ft, 5 ft, 10 ft), we are using x as an independent variable while y is dependent. The value of y (surface area of the garden) is dependent on the value of x (length of the garden side). The garden cannot have a negative length. The values to the left of the y axis do not apply. Translated, y = f(x) means the value of y (gardening area) is dependent on the function of x (garden side length). The lowercase f is used because it is the first letter of the word function. Another dependent one-to-one function is the area of a circle in relation to the radius. Change happens. The mathematical study of change is the basis of Calculus. We change the garden size and make a plan to build a bigger garden. We keep the same square shape. We increase each side from 8 feet to 10 feet. dx means "a small fraction of x". This is called a differential. 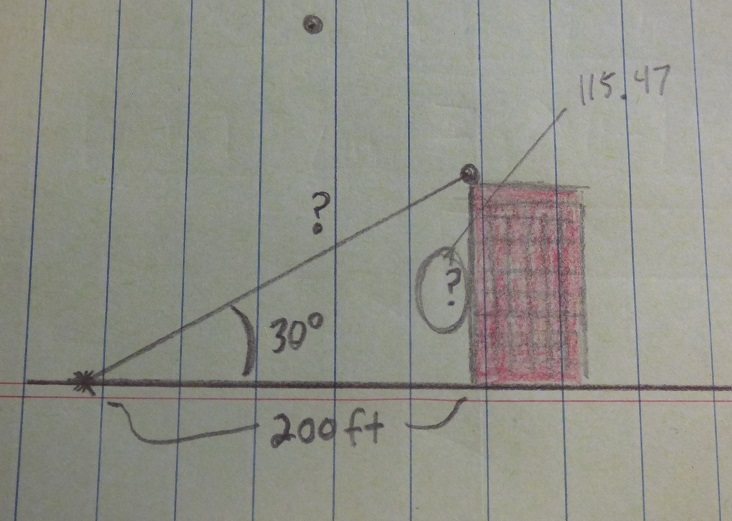 Specifically, the drawing shows d is equal to 2 feet (0.25 of x). The drawing tells how to calculate the new square footage by including differentials in the calculus. 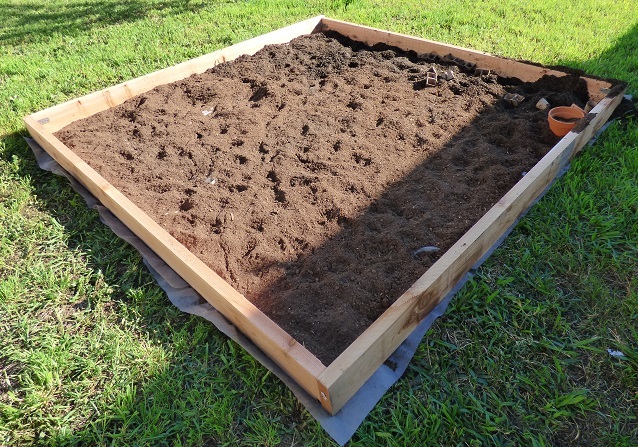 The original garden is x² (64 sqft). The use of the ∫ (sum) symbol sums all the differentials together to be the whole value of x. dx is a small fraction of x and all fractions combine together to be the whole of x - also called the integral. Trigonometry is the branch of Mathematics dealing with triangles. The three basic functions are SINE (sin), COSINE (cos), and TANGENT (tan). 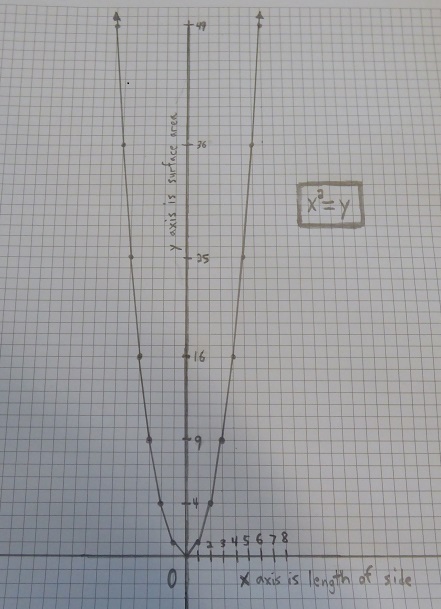 In the drawing, a 30 degree angle from a to point on the ground is measured. The distance of the point to the base is 200 ft. To determine the height of the red building, we determine the tangent decimal value for 30 degrees by checking the table. 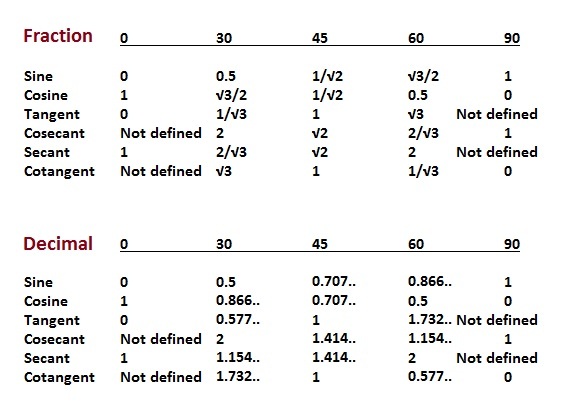 The tangent decimal value for 30 degrees is 0.577. To solve for height, the tangent formula is utilized. Both sides are multiplied by 200 to solve for "a". The building height in the drawing is approximately 115.4 ft.